This is an impressively broad hosta. Its leaves change from blue-green with greenish centers to dark green with lemon yellow centers as they mature. Strongly textured, the foliage is rarely bothered by slugs. Great in rock gardens and woodlands, especially if there's morning sun and afternoon shade. 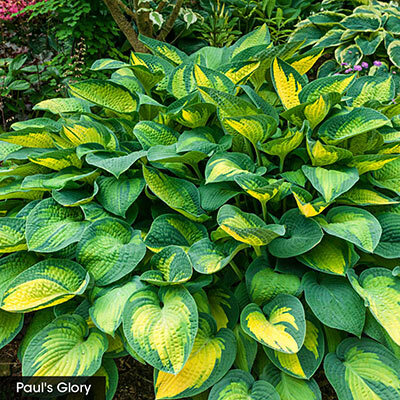 Awarded Hosta of the Year by the AHGA. Summer flowers are lavender.